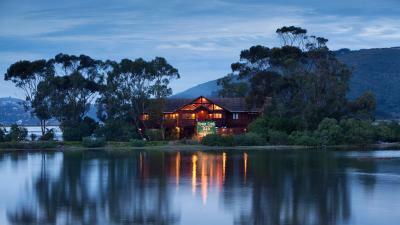 Lock in a great price for Oyster Creek Lodge – rated 8.9 by recent guests! I was allocated a lovely sunny room as requested although the better view is on the other side of the property. 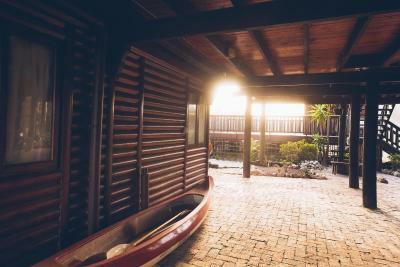 Wooden Lodge with lagoon on 3 sides. Easy access from N2. 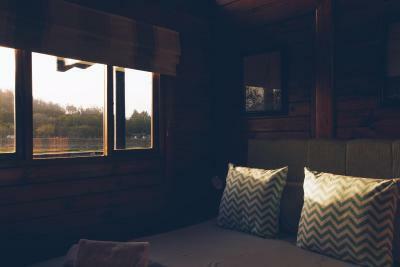 Relaxed atmosphere where you fell more of a guest. Easy parking. Knysna has very good waterfront with fish restaurants. Buffet breakfast. Great location. 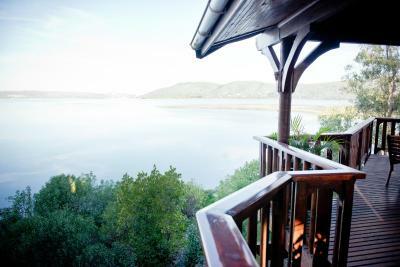 Perfect spot with views of lagoon and town of Knysna. Friendly and helpful staff. Felt right at home. Answered all our needs about sites and restaurants and activities. 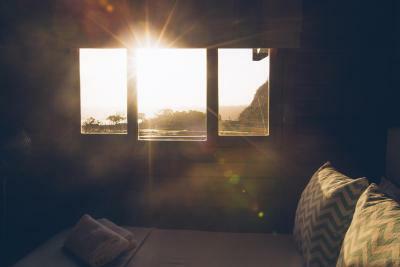 The views were incredible from everywhere; the bedroom, deck, communal space. Best breakfast we had during our entire South African trip. Gerhard, the host, was extremely helpful and friendly. The location is absolutely amazing. Had a really good time staying here. Wish we had stayed more nights. Would definitely go back. The venue is stunning, the rooms overlook the Lagoon and it is so peaceful. Wonderful to sit on the deck at night and enjoy the peace and quiet. 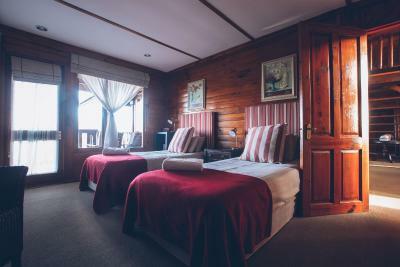 The rooms are very clean, the bed comfortable and as its so quiet you sleep wonderfully. The hosts are great and the breakfast was fantastic. A totally wonderful place to stay. Very big room with bedroom, living and kitchen. Comfy bed, very good shower. Gerhard is very enthusiastic and has a lot tips for day trips. Good breakfast, lots of choice. The best about it: the view on the bay! Quite romantic place to stay, very calm area and birds just in front of your door. 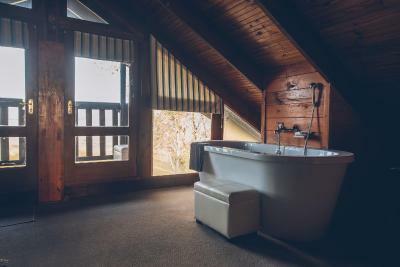 We absolutely loved the wonderful lodge, the spacious and beautiful room (we stayed in the large suit), the surroundings and the nature. 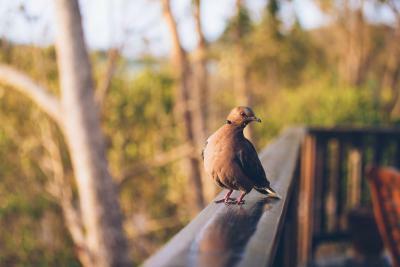 You can do bird watching from the deck. The breakfast was delicious, the bed - oh so comfy! The Manager Gerhard is very kind and knowledgable about the area and the nature and gives very good recommendations as to sightseeing in the area. The area is very safe and the parking is available for free right at the lodge. We could stay here longer and would be very eager to come back one day. Thank you for the amazing stay! Great spot. Amazing view of the lagoon. Gerard was so lovely and was able to make awesome recommendations! The place itself was silent about 5 Minutes from the waterfront or city center. Save area and easy to reach. Breakfast was ok. 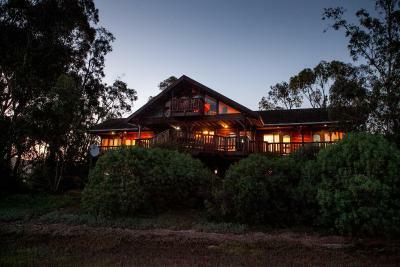 Oyster Creek Lodge This rating is a reflection of how the property compares to the industry standard when it comes to price, facilities and services available. It's based on a self-evaluation by the property. Use this rating to help choose your stay! Oyster Creek Lodge is located in the The Point suburb of Knysna along the Garden Route. 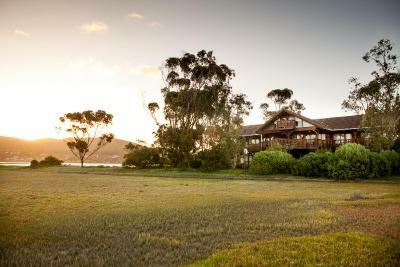 It is surrounded by the Knysna lagoon and features views of the Knysna Heads. 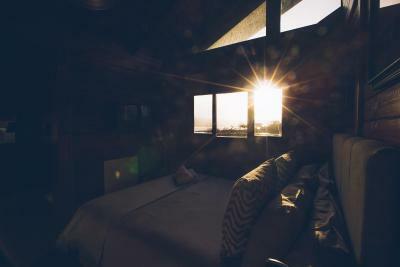 Each elegantly furnished room is lagoon facing and opens onto a balcony. All of the rooms have a mini-bar and some rooms have a small lounge area. 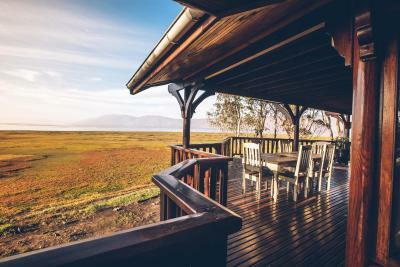 Oyster Creek’s well-equipped kitchen offers modern facilities for self-catering guests. Breakfast is on offer daily and guests can make use of the barbecue facilities. A number of restaurants can be found within 2.5 mi. 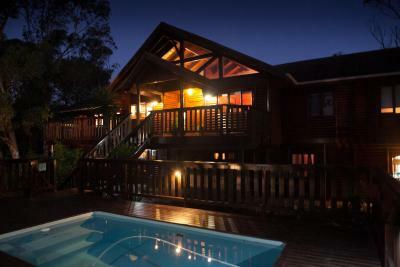 Guests can enjoy a refreshing swim in the pool or visit the Knysna Waterfront, which is a 4-minute drive away. Simola Golf Course is 4.5 mi from the property. Free Wi-Fi and private parking is available. The George Airport is 42 mi from the lodge. 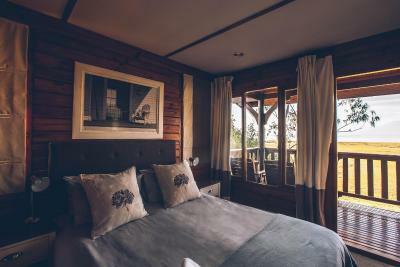 When would you like to stay at Oyster Creek Lodge? 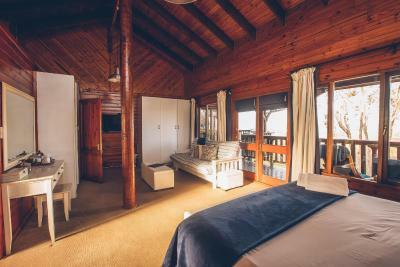 This luxury room opens onto a private balcony with views of the Knysna lagoon. It has a lounge area with a flat screen TV. 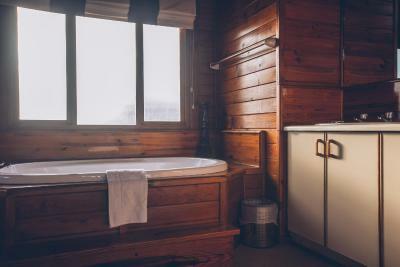 The bathroom is equipped with an extra large bath and separate shower. 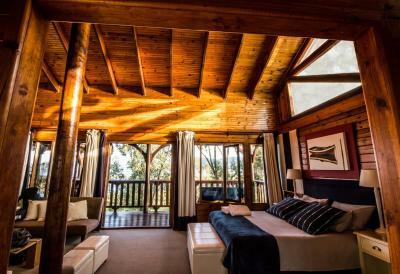 This room features views overlooking the pool and back of the Knysna lagoon. 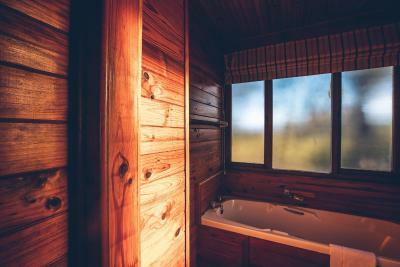 It is equipped with a flat-screen TV and a private bathroom with a shower. 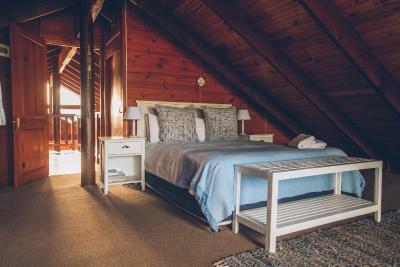 This room opens onto a balcony with views of the lagoon and Knysna Heads. The bathroom has shower. 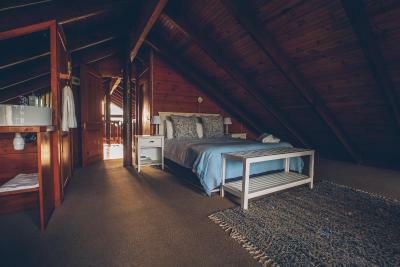 This room opens onto a balcony with views of the Knysna lagoon and of the Knysna Heads. The bathroom has a bath and a separate shower. 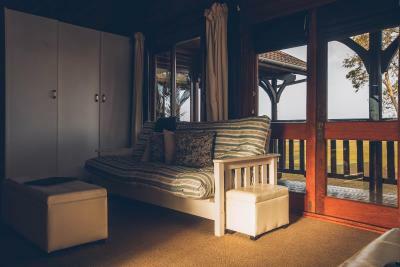 This small and private self-catering studio is located downstairs and features a patio, seating area and dining area and a kitchenette. Please note is is separate from the lodge, and is not star rated. 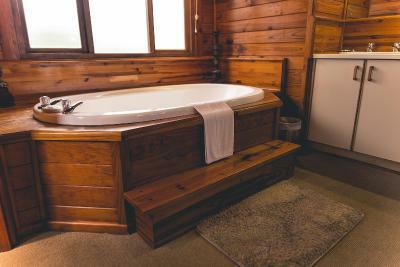 House Rules Oyster Creek Lodge takes special requests – add in the next step! Up to two children under 6 years are charged ZAR 175 per night when using existing beds. All children under 2 years are charged ZAR 75 per night in a crib. All children under 6 years are charged ZAR 175 per night for extra beds. Oyster Creek Lodge accepts these cards and reserves the right to temporarily hold an amount prior to arrival. The place has to be renewed. Old fashioned, unclean and compared with other places where we have been very small rooms. The town at all is not the best place to stay. The property was Not clean enough. Gerhard tried to help, if possible. Worst b&b ever. Very dirty in every way! The self-catering unit was a bit smaller and darker than expected. As the unit is on the ground floor with private access with mostly glass panel doors and lots of windows, I was a bit concerned about safety. 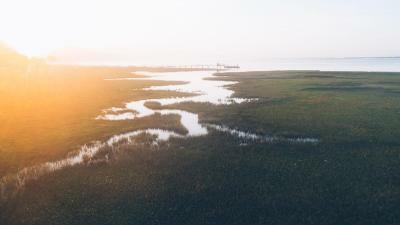 Beautiful views (270°) of the estuary. Lots of tipps from host Gerhard. Self-catering and breakfast included available. The property has an awesome view and the splash pool is an added bonus. I'm not used to give bad reviews, but in this case I have to. We expected a lovely lodge-like honeymoon stay, but we're disappointed.. 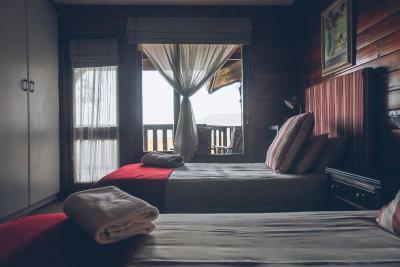 This hotel is generally a bit old and worn out: from the tapistry and curtains in the room to the furniture in common area to the towels and pillows in pool. Nice as the 'loft room' looks in the pictures, it is really low and I could barely stand up, there's a lot of stairs to carry luggage, the lack of curtains plus noise and smell from the kitchen woke us up very early. Really missed a shower as you can't stand up straight in the bath. 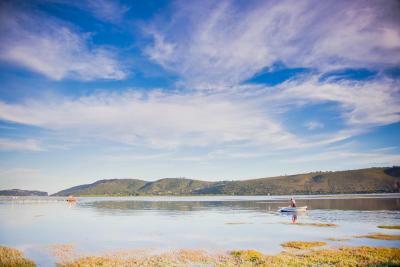 We loved our visit to Knysna, but not really because of theis booking. View from the room was amazing. Recommendations upon arrival for things to do was very useful and accurate. Bath was very nice. Knysna is beautiful town/area. Bottle of bubbles waiting for us in the room - Thanks!! The carpet in the room was a little dirty and had a bit of a smell to it.